So, once again, a looong time before a new update. Now though, I have personal day and hopefully a hour or two to write to everyone! First of all, I should mention the participants. We're not that many, about 14 of them. All the participants from Uganda lost their VISAs, and two of our other participants had accidents. My partner, Jake, is also a great guy. It's been a little bit challenging getting used to working with him though. He has a degree in staging things (ish) and therefore takes charge out of nowhere at times, and usually blames me if there's something that doens't get communicated between us. It's a little bit troublesome, but I think he's more stressed than I am at times, so I don't see a need to make it any worse. Anyways, the show is being put together nicely, and he it's better with a guy that does too much than too little. We also played some Wii when we had time, and stuff like that. They're really nice to hang out with. 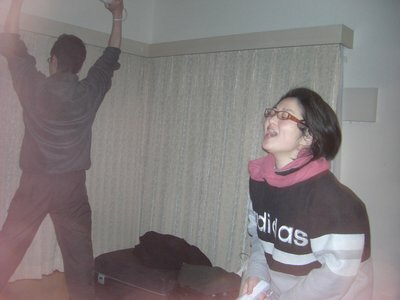 Aki beat Nao in Wii sports. Here displaying a winning pose facing the curtains. At the time I am in Uda. My host family from last year isn't hosting this year. I doubt it is because of me, but I'm kind of sad that I won't be seeing them again. On the bright side of things though, my new host family completely rocks the block. "Orafu". (-or "Olav"?) relaxing on the floor. That's one big super-happy dog if I ever saw one. These guys are so great. They haven't judged me for my strange interesets (it's easy to get the "crazy anime geek" stamp with my interests, even though (atleast I think) my personality is different), and as I'm like the 10th host kid they have they're not too stressed about things. We simply enjoy eachothers company. This week I only have one day of really hard work (the show day), so city running is no trouble. The weather has been brilliant, and the hike was as beautiful this year as ever. I'm so glad, because that was probably one of the best memories I have from last year. 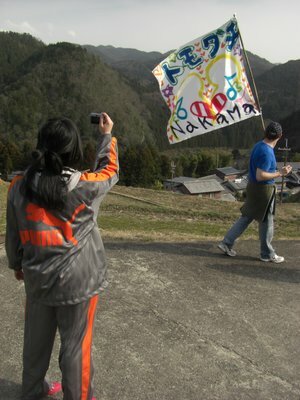 Kaho to the left, taking a picture of Erik who's carrying the team-flag. Even though I have no faces, I like this picture a lot. Today we had personal day, and I finally got to watch Dragonball: evolution. It's an American adaption of the worlds best selling comic, ofcourse from Japan. All they had to do to make this good was to follow the original script as best the could. I don't believe they did that, seeing the result of this movie, and also because this director also ruined the Hulk when he made that one. They had a cliffhanger though, so let's pray they get a proper director for that one and make it. It was good fun to see anyhow. Afterwards the thought was to have dinner with Ben (who had my job when I was a participant), but it got too complicated. I can't stand it when plans keep changing. I had one, but apparently there were about 4 different people going in different directions as opposed to just going for the original plan. When it comes to "what do you want to do" every fifth minute, and they keep trying to change it to their way anyway I'd rather spend my time elsewhere. So now I'm about to go out with my host family for dinner, and Karaoke afterwards. Oh, and I almost forgot! It was truly awesome, so I get the fuzz around it. Wasn't as expensive as everyone would have it though. Three more days in this city in other words, and then for a three day break more or less. It should be nice. After that though, new participants arrive and I'm busy again. The next week, half the group will leave, and we will recieve just about the same amount of new participants. So hopefully it'll only be half the job to get the group ready this time. So things are generally still good, but I am aiming at living in Norway next year. This is fun, but the exhaustion I feel the few days every time I need to prepare for the event is simply more than what I'm comfortable with. I know Hiro wants me back though, so I guess I can't confirm anything just yet. Anyways, this was a very small resyme of my life the past few weeks. It feels like forever since I've updated, because so much has happened. This life is truly intense. So, I'll update again as soon as I have time and internet! Hope all is well at home. I'll be back in about 6 weeks. It'll be very sad to leave, but I am looking forward to my very own freetime in my own house more and more now. It's been another few interesting weeks. Since last time I've moved from my host family in Arao, to my old host family in Osaka. I've had three great weeks in Arao, and myself and Hiro got a lot of work done. I had some trouble with my host family though. It appears my host mother expected more of me.. Hiro said that I'd help out as much as I could around the house and that I was interested in the bar the run at night time.-which is all true. What wasn't taken into consideration was that I did work full time for WCI. So I could only help out in the bread store 1 - 2 hours every day. Having a great time with my host family I didn't really notice a problem until Hiro got a call saying I couldn't eat dinner there any more. 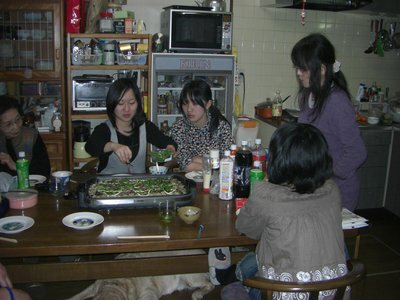 When I got home, my host sister (Sachiko) told me that she had a fight with her mother. She said it was about casual things, but considering me not being able to go home for dinner and Haruo (her fiance) being out for a walk to calm himself down it seemed more than casual. Apparently she felt that she'd been cheated. It appears she liked me personally, but wasn't pleased with me not being around to help out in the store and play at the bar more. Which I guess is flattering in a sense. And when I left my host family seemed sad to see me go. I've never received so many presents before either. I tried to say no, but there was no way. Haruo was the most extreme. I got his old phone, and a old Game Boy SP.-a "nintendo edition" even. My host mother got me a nice towel too. I'll probably live with them later when I come back. I just hope Hiro settled things with his aunt. I'm not too informed, but he says he's handling it, so I guess things are okay. They are family after all. Anyways, me and a Hiro jumped on a bus, and then on a plane and then we ended up in Osaka. I needed to find a pre-paid card for my phone, so I went hunting for one whilst I was waiting for my host family to pick me up. Strange stuff, compared to the fact that you can get the cards -anywhere- in Norway. But when I was on the street I met a guy I hung out with at a hostel in Hiroshima. So hopefully I'll hang out more with him later. Anyways, the rest of the staff appeared too. Guangs host family was very close to mine, so we hoped to hang out with our host families one day. But it appeared his hostmothers father died by a sudden heart attack. So he ended up moving in with me. It's really sad about her father, but we can't help having a great time being room-mates again. 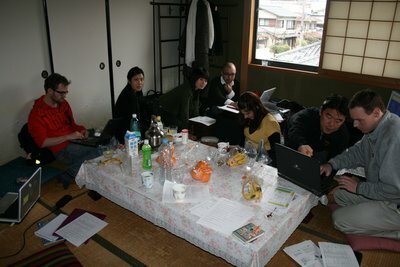 Now we are spending our days doing staff training and preparing for the coming participants. They will arrive on Monday, and there's a -lot- to do regarding the show I'm responsible for. Until then we're trying to relax and get properly prepared at the same time. Anyways, my hands are getting tired, and I'm sure your eyes are too. I'm psyched for another tour, but it is somewhat stressful. I'm thinking this will probably be my last tour. I'd like to move out in Norway and start uni. -but you never know, I might come back too. We shall see. Until the next update my friend! And finally arriving in Arao. I've been very busy, and the longer I wait the more I need to write. A very very evil circle. Since I last updated, I've had my trip from Tokyo all the way down here (Arao, close to Kumamoto.-in Kyushyuu). I'll give a few pointers as to what I did. First up, I met Amanda (whom taught in the same city as me in China) at a trainstation in Tokyo. It went better than I feared, allthough not completely without complications. Neither of us had phones, so we had to rely on hard planning. And when it's your first visit to Tokyo, being a certain place at a certain time is a challenge. But I only had to wait for about one hour (which all things considered isn't very long) and then she actually appeared. We went straight to our first target; Nagoya. The train trip wasn't too long. Shinkansen (or the "bullet train") is very very quick. In Nagoya we met up with my friend Yayoi, whom I know from the last tour I did with WCI. It was nice to see her again. Anyways; it took some effort, but we found our hostel. We lived on the 4th floor, and no elevator. When you have a suitcase, that is a challenge. A great kickoff for our tour. The dinner gang the first night. From the left; Ben, Amanda, Yayoi and me. Yayoi saying hi to one of the deer. After Kyoto, Yayoi had to get back to work. So me and Amanda travelled on to Osaka. The first day we mostly just relaxed, and checked out a huge shopping street. Amanda was supposed to go back to Tokyo that day, but didn't make proper reservations in time, so she stayed at the hostel with me. The hostel I found was a very different one. It was a YMCA hostel, in the middel of a huge park. Very pretty, but it was more of a school camp hostel than a backpaker place I usually go to. Great experience though, it was only me and this Japanese student in my room. He hadn't found a proper apartment yet, so he lived there for a while. It's fun to make basic conversation with people who don't speak English. Makes me happy about my Japanese, even though my grammar probably is rather off. The next morning Amanda left before I woke up, to see as much of Tokyo as possible. So I spent the day in Universal studios. It was a really fun park, but some of the attractions were somewhat dissapointing. Especially back to the future. It was basically just a 3d simulator. But anyways, after a few hours in the park, two Japanese girls tried to talk to me when we were in the line for an attraction. It happens sometimes, mostly it's just high school kids who want to hear a foreigner say hello. But there were actually English students at the university. So we befriended quite quick, and had dinner together afterwards. We even had time for a few hours of Karaoke. Me and the two girls outside universal studios. My last day of adventure ended in Hiroshima. I met some lone riders like myself, and we checked out the peace musem and peace park before we had dinner. We even played monopoly for a few hours. In the end it was me and one other. We ended it there, together with a neverending discussion about who would have won. Having the most (and very lethal) property I said me. She assumed herself as she had the most cash. As she had no way of getting my cash, whilst I with time would get plenty of houses/hotels to get hers, it's rather obvious to me. The next day, I talked to Hiro, and got on the train. The whole week, everything went as planned. I got on the trains I needed, and was at the station I needed to be at at 17:00, excactly like I planned. Ofcourse, as I was playing my PSP I actually managed to miss my stop. This being an express and all, I had to wait for 30 minutes for the next stop, and take a local train back. It was horribly embarassing for me, especially because there was a party in my honor. But it turned out okay, everyone was happy to see me anyways. So here I am now, living on the second floor.-above a bread store. I've already sung a few songs with them. And the younger generation is really cool too. They do not speak any English, so it's brilliant for my Japanese. They take their time to help me out with words I need to know, and we really get along. So I'll be here until the 3rd of March. This weekend I'll be heading out for a giant stairway (with 3333 steps) together with 18 other people. I know one or maybe two of them. So it should be exciting. The next day too, similar thing. Except it's a tea ceremony. Both times I've been invited by people I met here last time, but I hardly remember some of them. It's somewhat ebarassing for me, but I think I'm getting away with it. So, over the weekend I visited the long stairway. It was 3333 steps, and it took 2 hours all together. But we took our time, and it was fun. The weather was awesome. Afterwards we headed out for dinner with head of the L.O.C (people who arrange stuff for WCI) in Kumamoto. Shw bought us a great lunch. Afterwards me and three Japanese people headed for a last hour of Karaoke. I just learned another song that I'm going to use in the arigatou evento, and singing that at the karaoke was a big hit. I thought it was going to be an intimate thing, but it turns out it was organized by Rotary. So we were around 30 people I think. Good fun though, I met some interesting people. The best part was at the end. Pretty much everyone there spoke a lot of Japanese even though there were a bunch of foreigners. And it turned out everyone was supposed to say something at the end. I ended up joking about my name (it's very very long, and hard to pronounce in for Japanese people) and thanking for the day. So now I'm working like a trooper to get everything ready. A -lot- of things to do, and time is passing far to quickly. I'm getting this stingy feeling of responsibility and growing up, but I'm hoping it's a passing thing. Anyways, tell all your friends about www.worldcampus.org . We need participants in April. Two weeks in Japan, a great time and good fun! Allright, until next time my friends! So, these last few days have been intense. I've had such a good time though, these are days I will never forget. So I guess this story begins when I left my apartment. It was strange leaving that place. It's been my home for almost 5 months. It's not that much in the big picture, but still the only place I've ever been able to call my own. No sharing, no family or friend involvement. I got there completely by my own accord. The day when I got up to leave for the train station, it was snowing. SOOO much. In Shenyang, they shuffle the roads by hand. There's a bunch of chinese people who appear from nowhere and get working on the roads all over town. But when it's still snowing, there's still a lot of snow all over the roads in other words. So getting a taxi in itself was a challenge, and it took forever. So I was rather scared of not making it in time. But I actually made it just in time. 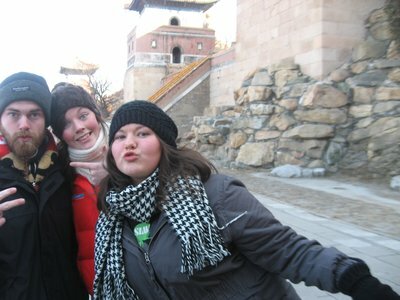 In Beijing, I lived with a girl named Tine, whom I've known since the first year of Senior High. She's studying mandarin in Beijing. She wasn't in the apartment at the time though, so her roommate (Andre) picked me up and let me in. We both knew Tine was supposed to show up the next day, but we weren't exactly sure of when. I slept on the couch the whole time, and we found everything I needed in her room. When I came back around 23:30, there was still no word from Tine. At that time I started thinking maybe she was stuck on a bus somewhere halfway from Shenzhen (where I knew she was last) or something. In the end it worked out. She introduced me to the "basement Puerto Ricans", two brothers, and one of the brothers girlfriend. Great guys, I loved them so much. I spent more than one night down there playing with their Wii and hanging out in general. Anyways, the next day we met up with the last two (Ingrid and Andrea). I knew Andrea from before, but I haven't met Ingrid before. She's from Bergen. Fun girl. So then the adventure began for real. We did some sightseeing, shopping and stuff. This is the couch I slept on for 6 nights. 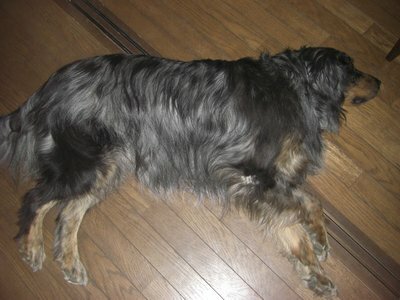 Here we have Andre in party mood, and Ingrid taking one of her famous "power naps". In Beijing, Tine's best friend is a Korean, called "Chris". Not to mention the chinese stuff being SO much cheaper. Koreans are (like the Chinese) rather nationalistic I think. They also told me about a popstar, who was very popular in Korea. He got so popular that he tried making it in the U.S as well. Because of that, he got an Amercan citizenship. 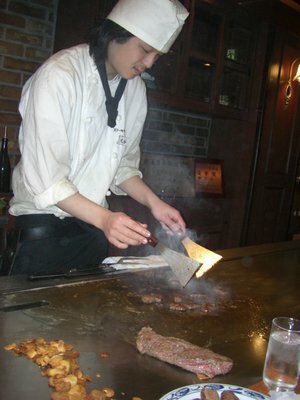 Apparently, he still hadn't done his military service yet.-which in Korea is mandatory and for three years. Now, when this pop-star got called in he used his American citizenship to get out of it. After that, he lost his popularity in Korea, people branding him as lazy. Chris was a great guy though. We couldn't really communicate directly, but he taught me some Korean, and showed me the Norwegian he learned from Tine. Chris, Andrea, Tine and me. I also got to experience Chinese new years in Beijing. On that day I actually managed to get sick though. It HAD to happen on that day.. So I stayed home, whilst the other left for the public fireworks. But the apartment is on the 9th floor, and absolutely the whole of Beijing were sending up fireworks. So it was -amazing- from where I stood to. No pictures though I'm afraid..
Now; the most memorable thing in China was probably me getting a tattoo. I know my parents will probably hate it, and for that I am really sorry. I love you both very much, but I believe I should be able to live my life as I choose. The way I see it, it's my body and my decision. I've wanted this for a long time, and I figured the time is now. In China I get it cheap, good quality and it makes for a great memory. The tattoo makes my body feel more like mine, and even better; a piece of art. A tattoo can be a thing of beauty if you let it. So, I only got a small one. That's me right after I got it. The tattoo itself is the logo of my favourite band, the Red Hot Chili Peppers. As much as I identify myself with their music it's definitely a part of my soul. Now it's part of my body as well, and it makes the two a better match. So, after a great week in Beijing with lots of old and new friends I left for a day in Hong Kong and Disneyland. Disneyland in Hong Kong was better than I thought. Definitely smaller than the one in Tokyo, but as I was only there for one day it wasn't a problem. 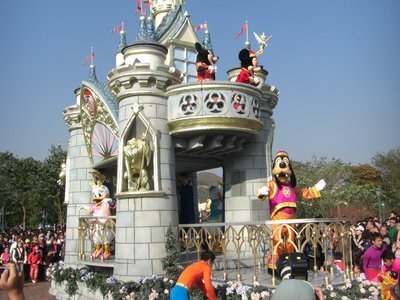 Here's a picture from one of the many parades they had. Many excellent shows there, I had a great day. Anyways, the next day it was time to get to Japan. I was so busy that I managed to miscalculate the time. I managed to get to the airport 40 min before my flight (instead of the hour and thirty minutes I intended to have), but it was too late. I sort of panicked for a split second, but the nice lady just gave me a new ticket on the plane leaving 50 min later instead. That was so unbelievably easy it was kind of more scary than having to pay for another flight. In China, everything is a hassle. I never saw that one coming. Anyways, I got to Japan, and changed all my leftover cash into Yen. I met up with a lady here called Hiromi, who was kind enough to lend me the guestroom in the building she lives in. She picked me up at the station, and even gave me dinner and a "welcome brownie". Today I've been doing laundry, shaved and generally just had a good time. After that, maybe some work and them I'm off for one week of constant traintrips. I have a one week "anywhere you want in Japan with a train" pass. So me and a british friend (who arrives on thursday) will be traveling together for 5 days. The last two I'll have on my own. So that'll be an adventure for sure. I have finished almost all the planning. Have a great day, and I'll update in a two week time I think. So yesterday, I left my apartment in Shenyang for the last time. It felt weird leaving. It's been my first own apartment ever, and I will surely miss it. Especially living so close to where I work. Right now I'm in Beijing. I just arrived yesterday, and I'll be here for a little less then one week. My main objective workwise is to get a special airpass-ticket that I need in Japan. Otherwise I'll be spending time with my friends here. Tine moved to Taiwan when we were around 17, and I've barely seen her since that. She's grown fond of China, and is therefore studying Chinese at the moment. So is Andre. I'm deeply impressed by how good they are. My Japanese is nothing in comparison. Ironicly though, Tine had some trouble getting the right ticket home from her vacation, so she's not here yet. I had a good time with Andre and his girlfriend yesterday though, so no worries. So that's where I am right now. Soon I'm off to Hong Kong (via Shenzhen) for a day in Disneyland before I head to Japan.-I cannot wait to get back there. China is fun, but my passion for Japan has no comparison. The last few weeks though, has been mostly goodbyes. I had three last times at Sophies world, our favourite bar (we tend to always find time for one more last visit there).-and multiple goodbye dinners with different people. The saddest though, was leaving my friends at school. Some of the students were crying when I left, which was very touching. Mike and another teacher, Evans bought me brunch at a cool traditional restaurant. Mike to the left, and Evans to the right. Otherwise, I've been playing a game called "Fallout 3" a -lot- after I finally got my hands on it. Absolutely worth the 30 hours or so I've put into it so far. Post nuclear-war society is interesting. My biggest challenge is no doubt getting my suitcase down to under 20KG. I sent a lot of stuff home, but they wouldn't send my rather large DVD collection or my chinese enormous "caution, wet floor" sign. So I fear my suitcase is too heavy. We shall see what happens. Until next time folks, hope you have a great week!